Curious about vinegar in relation to your furry feline? 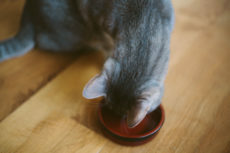 Wondering whether it’s completely safe for a cat to be around different types of vinegar, or whether vinegar could possibly be harmful or even toxic to your cat in any way, shape, or form? You’re in the right place! From my understanding, there are really only two ways you might think to use vinegar in a way that would directly or indirectly impact your pet cat: 1. As a household cleaner, or 2. As a remedy/health supplement of sorts, meaning it’d usually be directly ingested by your cat. Let me know if there’s another way you thought to use vinegar that I’ve left out/forgotten! If you’re here to learn about one type of use for vinegar, I’d strongly recommend you stick around and read about the other as well. Surprisingly, I came to polar opposite conclusions about their potential safety/harm of vinegar for each use – though you may disagree with my conclusions, and if you do, please let me know why below in the comments! Now, let’s jump into it. 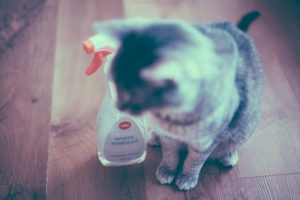 Part I: Is Vinegar Safe for Cats as a Household Cleaner? Looking for good news? Happy to provide it! 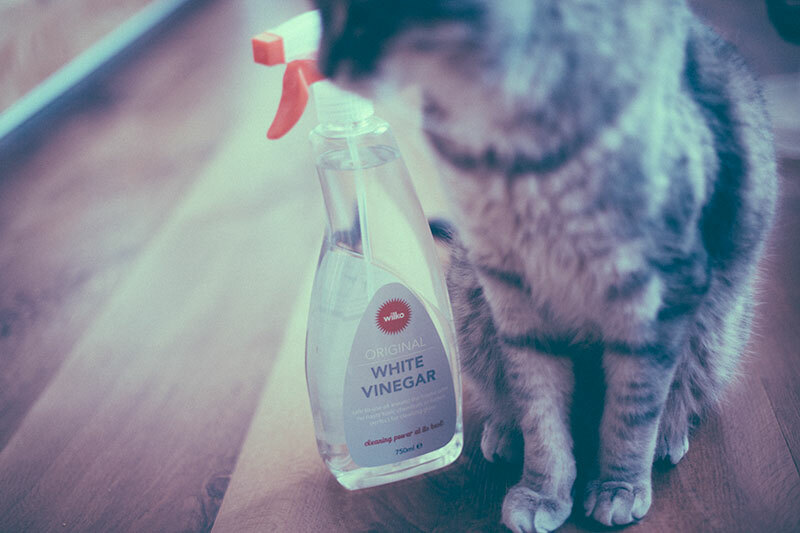 If you have pets, vinegar is the perfect cleaning product; it’s completely safe and non-toxic to cats – as well as most other pets. Vinegar is cheap, ubiquitous, and probably one of the most ideal cleaning products to use in around your home from a toxicity perspective; both for humans and for animals. It also never expires. It’s just one of those things that lasts indefinitely – like honey. I could stop here, but there’s even more good news, as vinegar is actually ridiculously good at getting urine smells out of hard surfaces and fabrics, and you know if it can do something as difficult as that it should really help keep pet smells in general at bay. Carol McCarthy points out: “Vinegar is an acid that neutralizes the alkaline salts that form in dried urine stains. Mix a solution of one part water and one part vinegar and apply it to walls and hard floors.” Your house will smell like vinegar afterward, but once that vinegary smell disappears, you should be left with no smell at all. 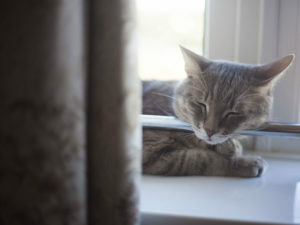 As baking soda is also ridiculously safe for cats to be around – to the point where many pet parents will throw some into their cat’s litter box to help reduce bad smells, you can confidently use your favourite vinegar and baking soda cleaning solutions around the house without fearing any health repercussions for your pet. Vinegar isn’t ideal to use on every surface, as it can damage things like granite, marble, and soapstone counter tops, as well as certain wood finishes and potentially some fabrics as well, so be on the safe side and look up whether you should be using vinegar for cleaning whatever surface, finish, or fabric you’ve got at home. 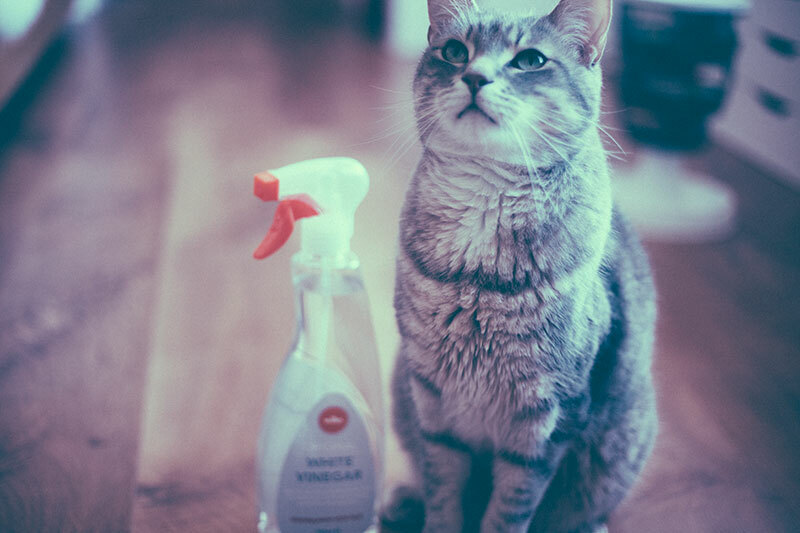 That being said, it still stands that whatever harm could come of using vinegar for cleaning – it may be to your possessions but it will never be to your pet. Downside to using vinegar as a cleaning product, not just in the kitchen but all over the house? For pet owners, I honestly can’t even think of one. So grab some diluted white vinegar and a spray bottle, and get cleaning! 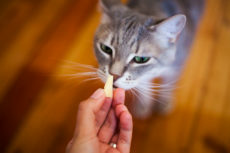 Part II: Is Vinegar Safe for Cats as a Health Supplement? Now this is where things get a little controversial. The answer here is yes, but only technically. It is safe for cats to ingest vinegar, but only in small amounts. About a teaspoon of diluted apple cider vinegar is the equivalent of the maximum a cat can handle ingesting without trouble beginning to brew. Any more vinegar than that and you could really mess with a cat’s stomach acidity, leading to health issues quite quickly. If a cat is sick, and especially if he or she is on prescription medication, you could do a lot of damage by feeding your cat just-a-bit-too-much vinegar, so in my opinion, you shouldn’t even consider it when your cat is sick (or ever, but I’ll get into that). 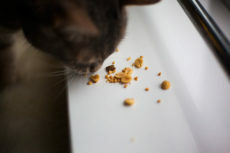 Because of vinegar’s acidity, it can alter your cat’s stomach acidity and potentially render prescription food or medication useless, or worse, doing damage of its own. If your cat has kidney disease: giving apple cider vinegar could be fatal, as a cat with kidney disease is unable to process acid well, and acidic is exactly what vinegar is. If it’s dangerous to give a cat vinegar in too high a dose, why give vinegar at all? Other articles claim that vinegar is an excellent remedy for quite a few feline ailments: ear infections, UTIs, hot spots. These claims are all true – the issue? You can definitely do more harm than good if you get the concentration wrong, don’t dilute the solution enough, and end up with too much vinegar, even if the solution is just going onto your cat’s skin topically. 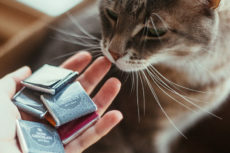 And, as stated before, if your cat is on prescription medication or special vet food, you could be rendering that medication useless by altering the pH/acidity of your cat’s stomach. My advice: absolutely do not try taking matters into your own hands by medicating your cat with vinegar without informing and getting approval from your vet first. 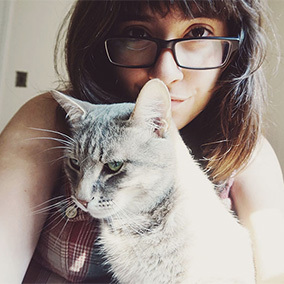 You’d be putting your cat’s health at risk. Why else might you want to give your cat vinegar? There’s the matter of the very true fact that vinegar helps to keep fleas and ticks away from our furry friends. Sound amazing? It’s not as great as it first appears. Vinegar can only help repel fleas and ticks: it doesn’t keep them away for certain and definitely doesn’t get rid of them if they’re already there. On top of that, good luck trying to get your cat to ingest vinegar in the first place. Most cats hate it, and will avoid it at all costs. 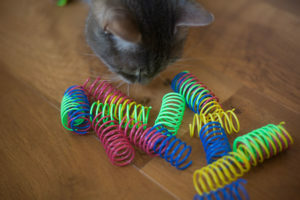 Trying to put it on your cat’s food? He or she may refuse to eat the dinner you’ve provided. Trying put a drop of it into your cat’s water? 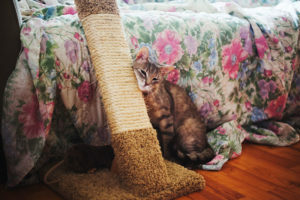 It’s hard enough getting cats to drink enough water to stay hydrated and avoid a UTI in the first place; adding a single drop of vinegar to the H2O mix you’ve left out could make your cat so averse to drinking, he or she becomes dehydrated. Again, it may be a controversial opinion, but to me – there doesn’t seem to be much, if any, upside to giving a cat apple cider vinegar at all. But accidentally giving too much vinegar – either by not diluting the vinegar enough or by giving too much overall – can have serious ramifications to your pet’s health. So, in my opinion, using vinegar for health reasons on your cat without your vet having advised you to do so is a bad idea, as it could lead to much more harm than good. While, personally, I would never really entertain giving it a go, if you’re still unconvinced and want to try giving apple cider vinegar to your pet yourself, please oh please, for the safety of your pet, let your vet know first – in advance of your attempt. Ask your vet his or her opinion on whether it might be helpful, if issues may crop up, and what those may be. Also be sure to ask your vet about the right way to go about giving your pet vinegar, especially in terms of diluting the concentration so as not to be left with a solution that’s too acidic. Your Thoughts on Cats & Vinegar? Have you ever used vinegar as a household cleaner? 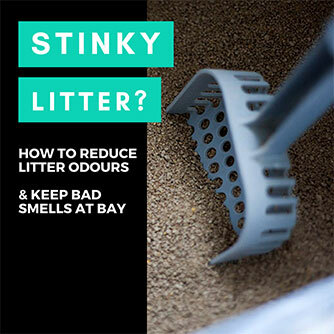 Did you know it worked so well, both from a toxicity perspective and in terms of getting pet smells and even urine smells out of whatever you need cleaning? Have you ever thought about using apple cider vinegar to cure a feline ailment? What was the ailment you were interested in remedying? Did you end up trying it? Would you ever do it again? Ever talk to your vet about using apple cider vinegar as a remedy? What were his/her thoughts? Looking forward to hearing about your experiences in the comments down below! My kitty had a uti vet gave her antibiotics but it came back so I did try the apple cider winger half a teaspoon to cup of water gave it to her with a syringe a few times seem to actually help. Hi Elise. We have a problem with a neighbour’s cat coming over to our place and terrorising our cats to the point that one of my cats will no longer go out. I read somewhere that a squirt with watered down vinegar would deter the aggressive cat as vinegar is non toxic but they don’t like the smell. Despite this cat being a pain in the arse I do not want to make it seriously sick either. What are your thoughts please. I personally don’t know if it could make the cat sick – wouldn’t risk it; would squirt with plain water instead. That *should* be enough of a deterrent. Can i replace apple cider vinegar with regular white vinegar as a health supplements? I use vinegar and baking soda in a spray bottle as a deterrent from cats scratching furniture and fighting with each other. Is that safe? In my opinion – if you only spray the furniture with the vinegar and baking soda, yes. But if you want to spray the cats themselves – have a separate spray bottle that’s just water and only spray them with water. It’s best to make sure they’re not ingesting baking soda and vinegar if they don’t need to be, and since regular water will do the trick for shocking them, why take the risk? 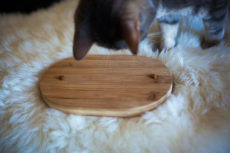 By the way, I have some tips up here in case you’d like to train your cats to stop scratching furniture. Another way vinegar can be used is topically. When my cat had feline acne under his chin, my vet recommended that I apply diluted apple cider vinegar on it followed by an oral gel from the pharmacy. Applying it consistently eventually did take care of the problem. I probably wouldn’t give him vinegar to ingest though. I tend to err on the side of caution when it comes to what I let my cat consume. Can’t risk it! See, I feel like yours is the perfect attitude to have: careful of the risks, knowledgeable of what the biggest risk is (ingestion), but also awareness of the potential for vinegar to be an amazing remedy. I think the only real risk to our pets is if we take matters into our own hands and try to use vinegar to treat our pets without first asking our vets about the proper way to go about it, because that’s the only time we can do more harm than good. With their instruction on the proper way to use it (diluting, washing off right away, etc. ), vinegar can be a powerful tool, without any of the downsides of potential harm from using it the wrong way. Yes, we use vinegar and water for various things around the house, and baking soda and water too! 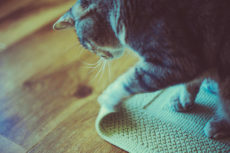 I’ve read that baking soda should not be inhaled, so I stopped adding it to the cats litter boxes, But baking soda and water are used to clean up any cat liquid or solid on the hardwood floors! Hadn’t heard that before about inhaling baking soda! Thanks so much for bring it to my attention!